Last week the historical Palace Donn’Anna in Naples hosted the consortium meeting of the H2020 Liquefact project coordinated by Prof. Keith Jones on behalf of Anglia Ruskin University. 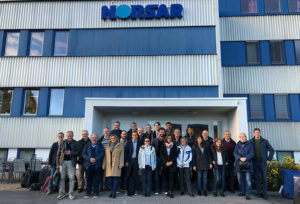 During the very successful meeting each partner organisation presented their progress against each work package task and explored the inter-relationships between their work and the rest of the consortium. Work package 2, led by University of Pavia, presented the work they had done to support the development of a European macrozonation map for liquefaction hazard. This work represents a first attempt to define a methodology for the assessment of such hazard across Europe and the Mediterranean area. Work package 3, led by University of Porto, presented the work they had done in defining an efficient numerical approach to assess the structural damage induced by liquefaction and presented their innovative methodology for the fragility analysis of critical infrastructures. Work package 4, led by the University of Naples, presented initial results from a series of laboratory tests (triaxial and centrifuge tests) which questioned existing understanding of soil liquefaction and that could support a step forward in the scientific knowledge about the soil liquefaction phenomenon. 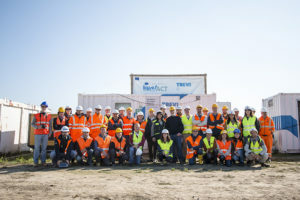 Also in work package 4, Trevi SPA outlined progress in with the field tests that will explore novel approaches to the mitigation of soil liquefaction. Work package 5, led by Anglia Ruskin University, presented an international comparison of the metrics used to assess vulnerability, resilience and adaptive capacity of communities, individual and critical infrastructure stakeholders; and in particular explored the inter-relationships between them. Such studies are the basis of resilience assessment, risk mitigation and improved asset management against a liquefaction hazard. Work package 6, led by Norsar, presented the SELENA-LRG framework, a software tool in which all “Liquefact” outcomes will be integrated into a decision support tool to plan mitigation measures to improve the community resilience to liquefaction induced disaster events. Work package 7, led by the University of Cassino, presented the preparatory phase to validate the “Liquefact” tools and test the ready-to-use instruments for stakeholders and policy makers. Work package 8, led by Trevi SPA, presented details of the dissemination plan, and user statistics highlighted an active interest in the Liquefact project on social media. The consortium meeting was also attended by members of the Liquefact International Advisory Board who provided both detailed insights into the liquefaction phenomenon; thanks to a very interesting lecture by Prof. Cubrinovski; and expert guidance to all the projects researchers through the detailed discussions they had with individual researchers. Many thanks to the Advisory Panel for their support. The meeting concluded with an open discussion of the next 6 months of the project amongst all the partners and external advisors. 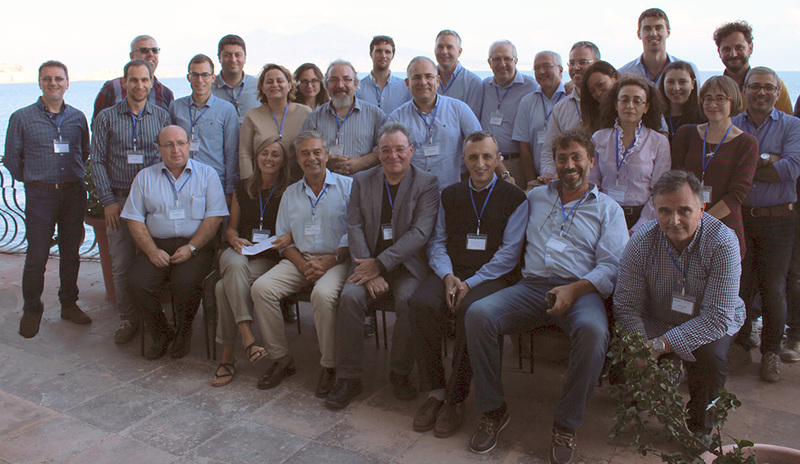 And Finally, thanks to the University “Federico II” of Naples and the University of Cassino for organising such a successful meeting and to the De Felice Foundation for providing us such a magnificent venue to hold our meeting.